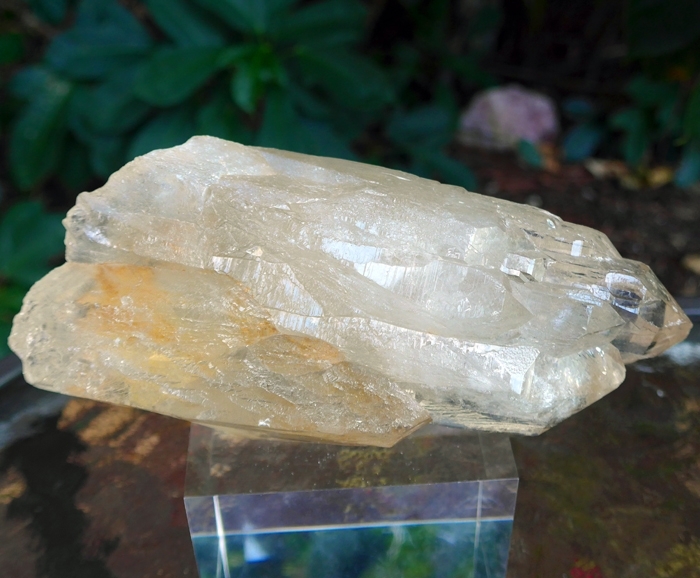 Dimensions (HxWxD): 6" x 2.75" x 1.75"
This 6 inch long untreated, unpolished Large Elestial Citrine Cathedral from Brazil, weighing 21 ounces, or 1.32 pounds, boasts three large termination tips and a couple of dozen smaller turrets and points clustered around the larger crystal points. This piece has great translucence and a lovely golden color. 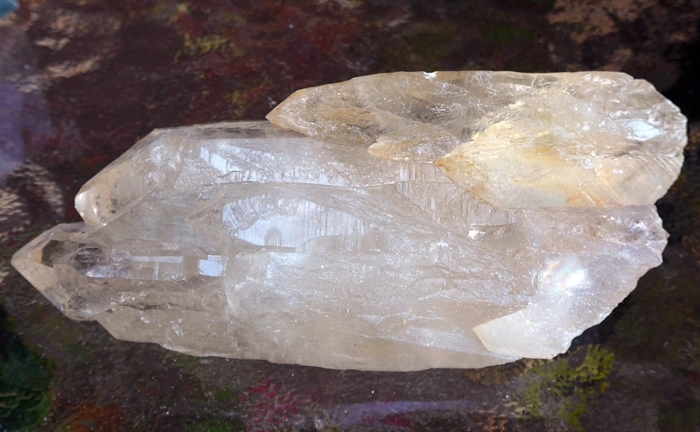 This stunning crystal cluster is 2.75 inches wide, with multiple turreted points surrounding the termination tip, marking it as an elestial crystal, which is often used by metaphysical rockhounds in meditation to connect with the Akashic Records, spiritual guides and teachers and other sources of cosmic wisdom. 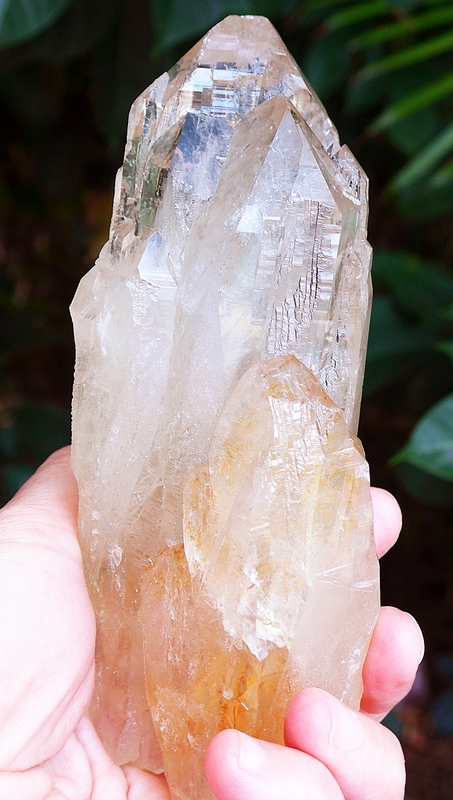 Elestial crystals exhibit unique and unusual growth interference formations both internally and externally, created by continuously changing conditions within the crystal's environment over long periods of geological time, so the crystal's formation was often interrupted and new elements added over time. 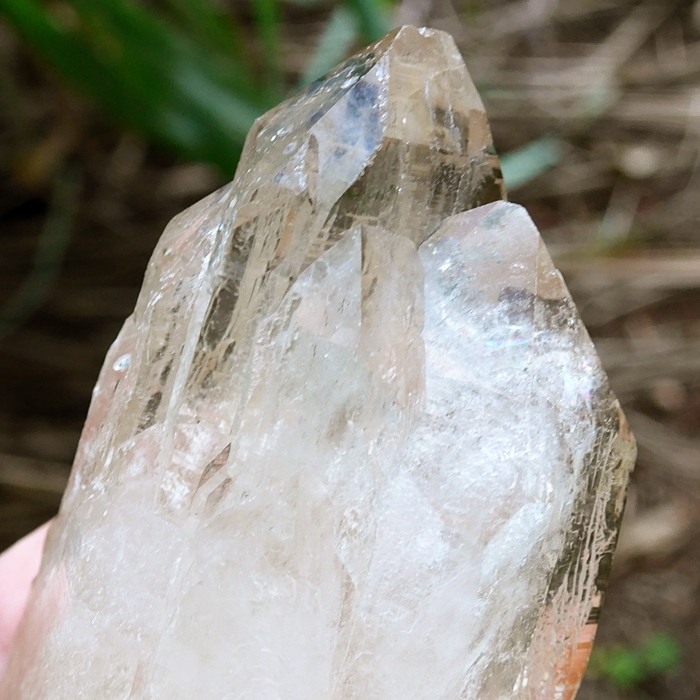 Elestial crystals display multiple termination tips which often appear like a cluster of turrets on the exterior of a larger crystal point. 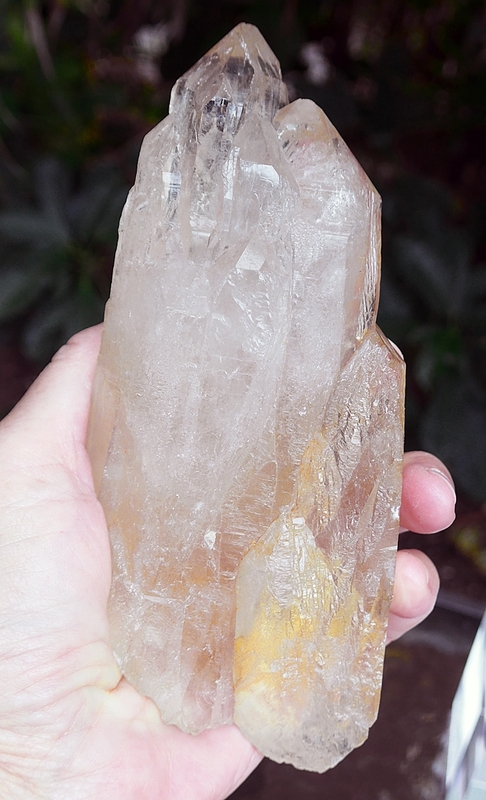 Metaphysically, elestial crystals function as "library crystals", providing access to information acquired during the long geologic ages of the crystal's formation, including metaphysical information gathered during this period of crystalline growth. Note: weight above is shipping weight. Actual weight is 21 oz., 599 grams, or 1.32 lb.